Upon breaking down his door, they entered Chamberlain’s apartment. Police alleged that Chamberlain came at them with a butcher’s knifewhen they broke down the door. Chamberlain’s family, however, claims the elderly Chamberlain was unarmed, and did not resist. The police tased Chamberlain and then shot him with four beanbags launched from a shotgun. Chamberlain allegedly continued to charge at officers with the knife, and Officer Anthony Carelli shot Chamberlain again, this time in the chest with live ammunition. A camera mounted on the taser captured the tasing, but was not functioning during the shooting. Chamberlain later died in surgery at the White Plains Hospital. In 2012, a state grand jury reviewed the case and decided that no criminal charge would be made against the police officers involved in the killing. Because grand jury proceedings are secret, the details of the case presented to the jury are unknown. Lawyers for the family, however, suggest that the case may have been presented in a misleading or ineffective way and therefore began to seek other legal recourse, such as requesting a federal investigation. On July 2, 2012, Kenneth Chamberlain Jr., the victim’s son, filed a federal civil suit for $21 million against the City of White Plains and the White Plains Police Department. In November 2012, the Chamberlain family amended their lawsuit to require the city to modify police procedures with the mentally ill. In September of 2016, a federal judge, Cathy Seibel, dismissed most of the claims contained in the lawsuit and excused several of the original defendants including police officers. On November 17, 2016, a Westchester jury unanimously rejected the wrongful-death suit, with claims of battery, assault, and excessive force brought by the family of Chamberlain against the city and officer Anthony Carelli, who fired the fatal shot. Randolph McLaughlin, the Chamberlain family’s attorney, planned to file a notice of appeal in the case, as, he believed, the plaintiffs were wrongly barred from introducing some evidence, including testimony that racial slurs were used by an officer during the incident and past lawsuits against some of the officers involved in the case. The appeal is currently still pending. Chamberlain v. City of White Plains et al., Docket No. 7:12-cv-05142 (S.D.N.Y. July 2, 2012). Chamberlain v. City of White Plains, Docket No. 16-03935 (2d Cir. Nov. 22, 2016). The Attorney Depot!, Lifeaid Audio-Taser Video of Ken Chamberlain Shooting, YouTube (Nov. 23, 2012), https://www.youtube.com/watch?v=72W8dVFmX2M. Pat Casey, Independent Report Vindicates Police in Chamberlain Shooting, The Examiner (Oct, 8, 2012), http://www.theexaminernews.com/independent-report-vindicates-police-in-chamberlain-shooting/. Democracy Now!, Grand Jury Hears Kenneth Chamberlain Sr. Case as Autopsy Casts Further Doubt on Police Claims (Apr. 12, 2012), https://www.democracynow.org/2012/4/12/grand_jury_hears_kenneth_chamberlain_sr. Democracy Now!, NY Grand Jury Probes Killing of Kenneth Chamberlain Sr. Amidst Broad Allegations of Police Misconduct (Apr. 11, 2012), https://www.democracynow.org/2012/4/11/grand_jury_probes_killing_of_kenneth. Lisa W. Foderaro, Police Killing of Mentally Ill Black Man Is, 5 Years Later, Heading to Trial, The New York Times (Oct. 31, 2016), https://www.nytimes.com/2016/11/01/nyregion/police-shooting-of-mentally-ill-black-man-kenneth-chamberlain-trial-set-to-begin.html. LarchmontMamaroneck, Video Evidence from Taser Gun Used on Kenneth Chamberlain Sr. Nov. 19 – Part 1, YouTube (May 4, 2012), https://www.youtube.com/watch?v=28T0wtfFZFE. LarchmontMamaroneck, Video Evidence from Taser Gun Used on Kenneth Chamberlain Sr. Nov. 19 – Part 2, YouTube (May 4, 2012), https://www.youtube.com/watch?v=86SRX1N6suM. LarchmontMamaroneck, Video Evidence from Taser Gun Used on Kenneth Chamberlain Sr. Nov. 19 – Part 3 (May 4, 2012), https://www.youtube.com/watch?v=KXRkrWfJcMk. Michael Powell, “Officers, Why Do You Have Your Guns Out?,” The New York Times (Mar. 5, 2012), http://www.nytimes.com/2012/03/06/nyregion/fatal-shooting-of-ex-marine-by-white-plains-police-raises-questions.html. 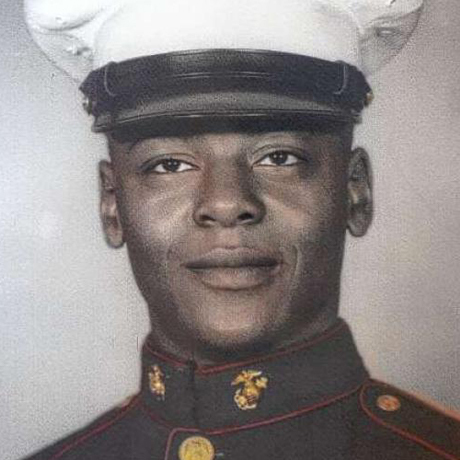 Graham Rayman, Westchester Jury Rejects Wrongful Death Lawsuit of Former Marine Veteran Kenneth Chamberlain, The New York Daily News (Nov. 17, 2016), http://www.nydailynews.com/new-york/jury-rejects-wrongful-death-suit-ex-marine-kenneth-chamberlain-article-1.2877906. Matt Spillane, Kenneth Chamberlain Sr. Police Shooting Lawsuit Goes to Jury, The Journal News (Nov. 16, 2016), http://www.lohud.com/story/news/local/westchester/white-plains/2016/11/16/kenneth-chamberlain-shooting-jury/93968676/. Matt Spillane & Christopher J. Eberhart, Jurors Reject Chamberlain Wrongful-Death Suit, Find Shooting Justified, The Journal News (Nov. 17, 2016), http://www.lohud.com/story/news/local/westchester/white-plains/2016/11/17/kenneth-chamberlain-jury/94012940/.